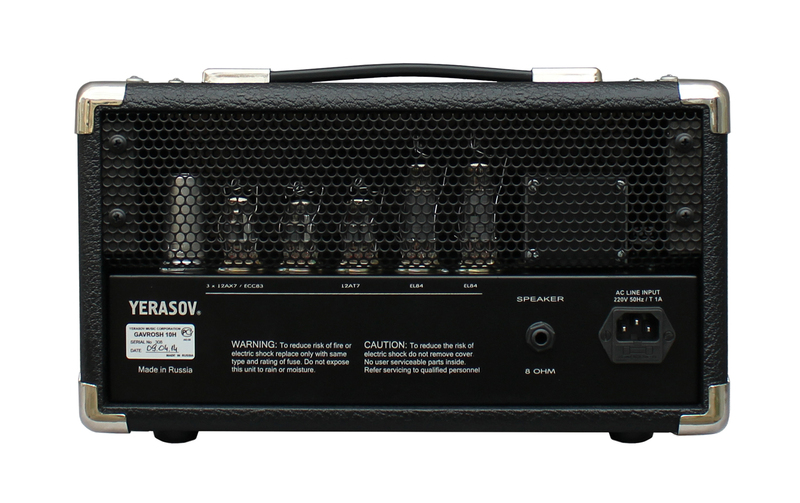 This is an incredibly versatile rehearsal and practice amp that can give you everything from crystal clean sounds through crunch to screaming overdrive to help you find the sound you want. With two all valve channels, the clean channel volume control takes you through clean to crunch and the lead channel has volume and gain has low and high settings to make for even greater flexibility. Power chords and low notes remain crisp and clear avoiding the muddy sound that’s a problem with some other amps in overdrive. Both channels share Bass, Middle, Treble and Presence controls with studio quality digital reverb and channel switching is done by front panel buttons or the supplied footswitch. 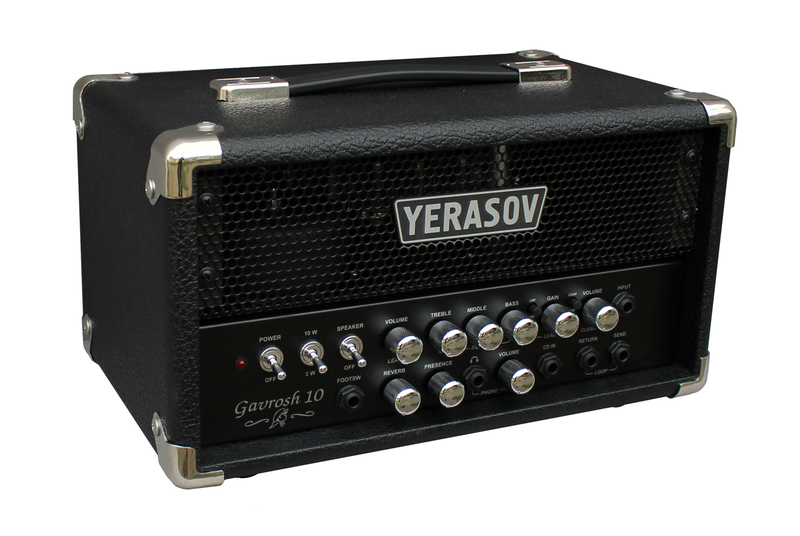 The Gavrosh 10 will drive any 8 ohm cabinet. Power output can be switched from 2 to 10 watts to suit your environment and there is a cd input so you can practice with your favourite tracks. 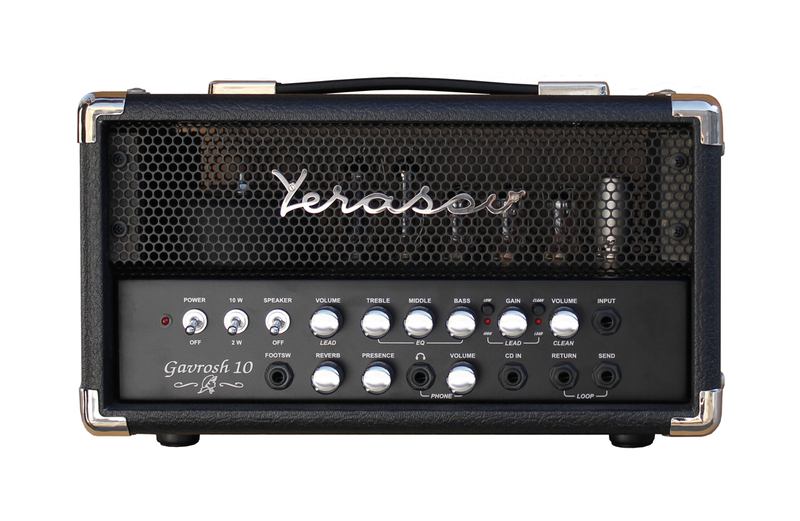 More discreetly, the Gavrosh 10 has an internal power soak that emulates a 4x12 cabinet so connecting headphones doesn’t just give you the sound of the preamp valves in overdrive, but also the full benefit of rich fat power amp valves overdrive and distortion while the amps main output is silent.